It’s hard to believe that Thanksgiving is a mere 15 days away. Naturally I’m dedicating my baking during November to the delight that is Thanksgiving dinner. Of course many of these dishes are wonderful any time of the year. Pumpkin pie is one of those. 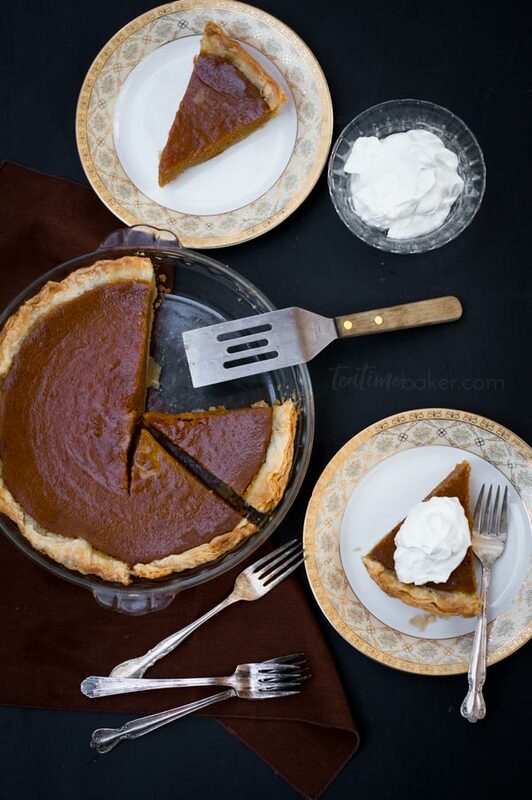 I’ve never been a fan of pie and of the few I enjoyed, pumpkin was at the bottom of the list. Over the years pie slowly grew on me but not pumpkin. However, a few years ago I ran across a recipe that I very much liked. I scribbled it on a piece of paper and it’s been in my recipe binder ever since. 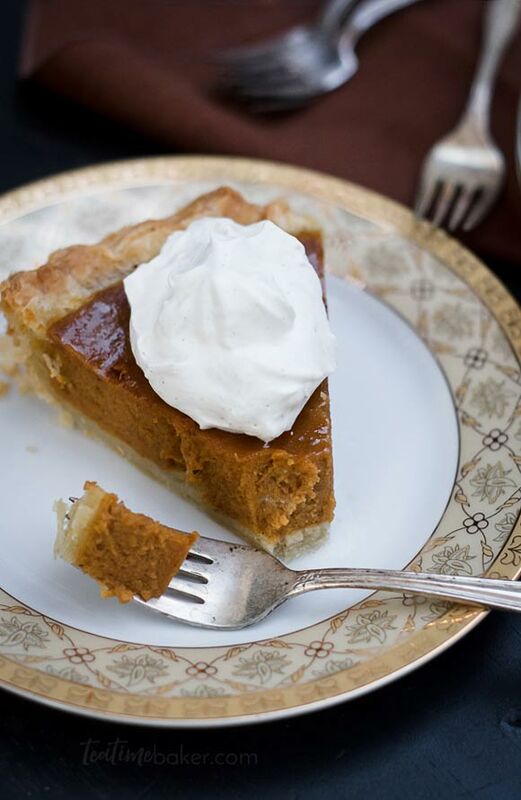 Today I’m sharing my version with you: Healthy Pumpkin Pie topped with a delightful Cinnamon Whipped Cream. I have scoured the internet recently to try and find the origin of this pie filling. Unfortunately despite my best efforts I cannot for life of me find the blog I got it from. If you recognize it let me know so I can thank them! This pie is silky smooth with a mellow flavor perfect for savoring with a cup of tea (or coffee). Coconut milk replaces the traditional evaporated or sweetened condensed milk and the sugar is just right. 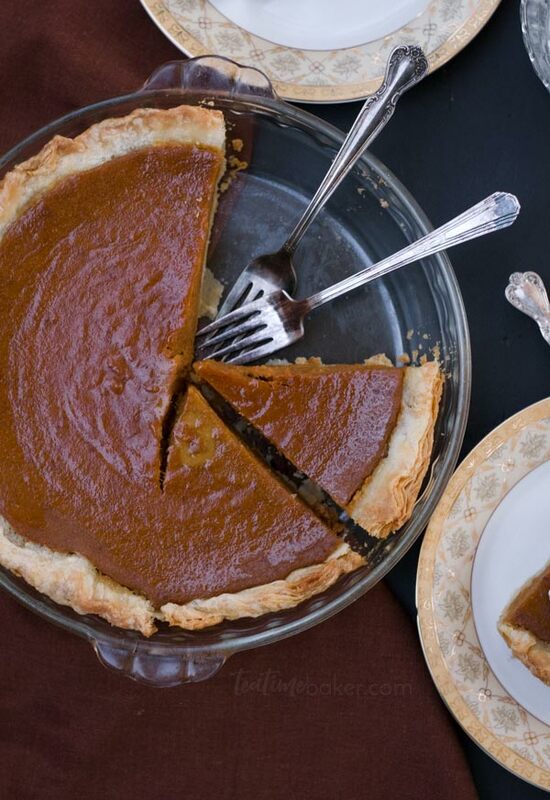 The kids love it when I surprise them with a piece of Healthy Pumpkin Pie for breakfast. Let’s be honest, I love it too, and why not? A decent serving of pumpkin combined with eggs, coconut milk and a little sugar – I’m sure it’s much healthier than most breakfast cereals! Make two and you can have one for Thanksgiving and one for breakfast over the weekend. Now that’s a holiday! 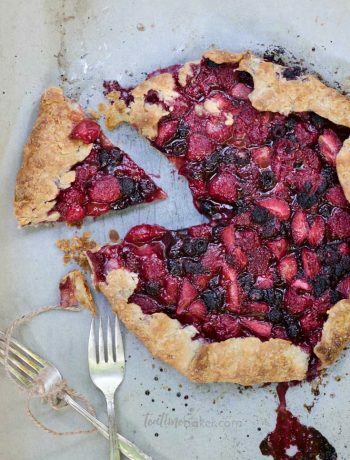 The crust in this recipe is enough for one pie, however I almost always double it and stick the second in the fridge if I don’t end up making two pies. If you’re taking the time to make one it makes sense to just make two. I have kept mine in the fridge for up to a week and made a second pie or dessert when the first is gone. You could probably freeze it as well, but I haven’t tried it myself. Next week we’ll tackle Pumpkin Rolls which are my new favorite side for Thanksgiving dinner! 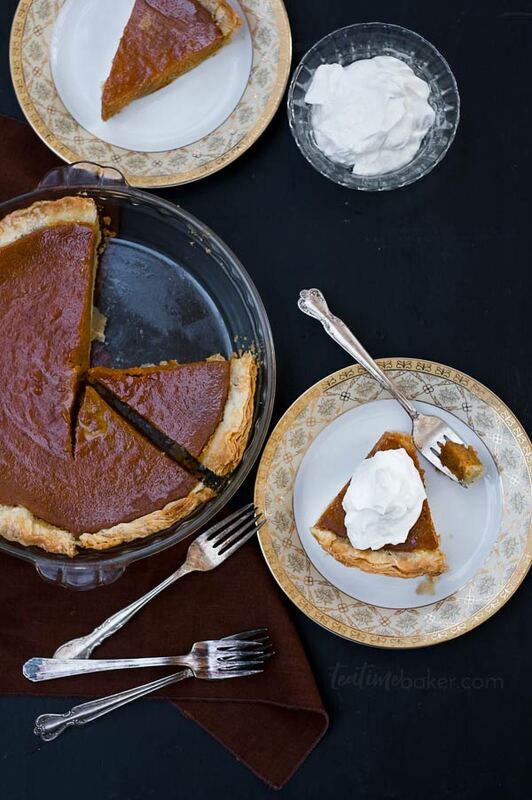 Enjoy a delicious but still guilt free holiday with Healthy Pumpkin Pie. The smooth creamy filling is just eggs, pumpkin, coconut milk, raw sugar and spices! Cut your butter up into small chunks. I cut my stick in half lengthwise, flip it over and do it again, then slice it into approx. half inch pieces. This way each slice is 4 small squares. Put the butter pieces in a bowl and stick it into the freezer for about 15 minutes. Combine your dry ingredients and pop them into the freezer also. Using a food processor or a stand mixer with the paddle attachment, mix the dry ingredients and butter together until the butter is about the size of oatmeal or blueberries. Add 3 Tablespoons of cold water, one Tablespoon at a time, mixing a little in between each addition. Test your dough and see if it holds together by squeezing a handful. The pie dough should mostly stick together when you squeeze it with just a little crumbling. If it doesn't, add another Tablespoon of cold water and test again. Knead it on the counter 3-6 times gently to bring it together. Too much kneading will toughen the dough. If it won't form a ball put it back in the bowl and add cold water 1 Tablespoon at a time testing after each, until it come together. Be careful not to over moisten! Shape the dough into a round flat disk wrap it in plastic and put it into the fridge for 30 minutes or until you're ready to bake. Preheat the oven to 350 F (175 C). Roll out the dough, place it in a nine inch pie pan and crimp or decorate your edges. Put it back in the fridge until the filling is ready. Whisk the eggs, sugar and spices together. Stir in the coconut milk and pumpkin puree. Pour the filling into the crust and bake on the middle rack until the center is set. Mine took 50-60 minutes and I checked it with a knife in the center. Before you whip your cream put your mixer bowl in the freezer for a few minutes to help stabilize the cream while it whips. Pour the cream and vanilla into the cold bowl and whip with the whisk attachement (or hand held mixer) until soft peaks form. Add the sugar and cinnamon and beat until stiff peaks form. Serve immediately!